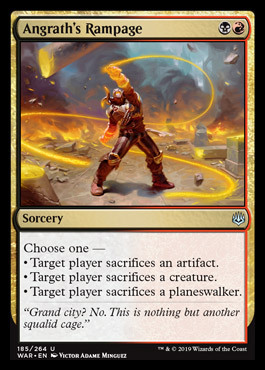 Ability Text: Choose one - * Target player sacrifices an artifact. * Target player sacrifices a creature. * Target player sacrifices a planeswalker.